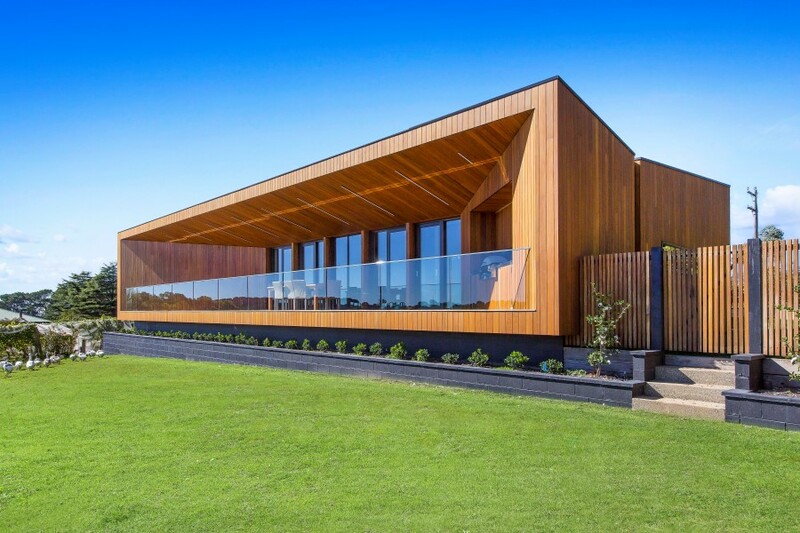 Set in the picturesque wine region of Red Hill, The Red Hill Residence is a striking modern family home inspired by its surroundings. 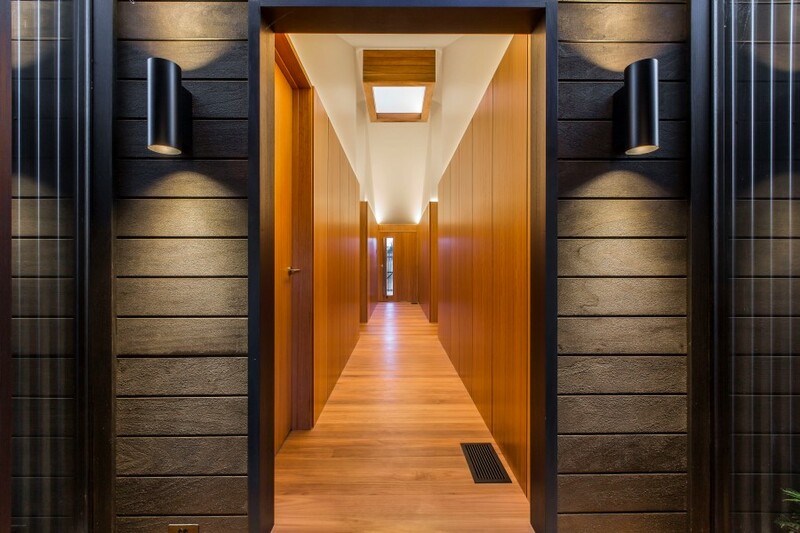 The home’s entry greets you with a simple and minimalist facade enticing you into the design. 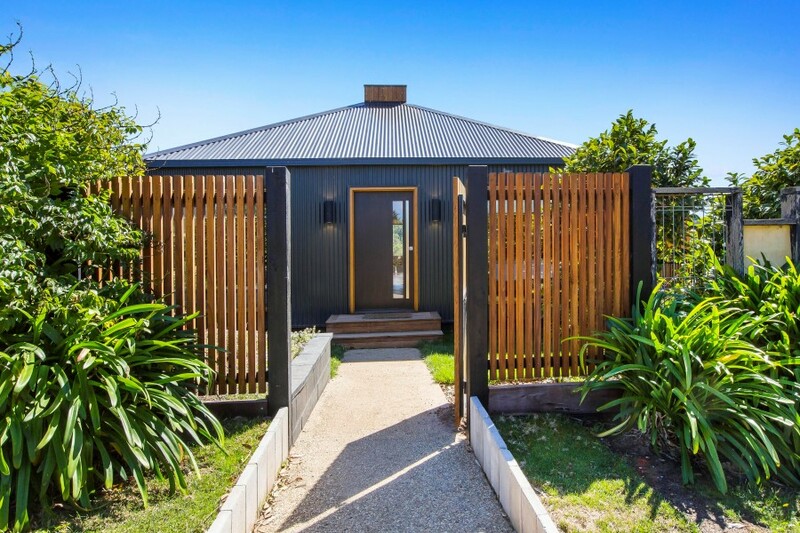 Dark metal cladding which covers the walls as well as the pitched roof accentuates the shape of the house and highlights the timber features which wrap around to the back of the house and continue inside where light timber panelling emphasises the high angled ceilings. The dramatic hallway, flooded with light from the skylight, lead you through the generous living areas into the main entertaining space where the star of the house is on full display. The home’s use of timber both in the interior and exterior of the design allow the materials to age naturally and blend in with the landscape. The timber ceiling which covers the main living and entertaining space continues outside and wraps around the entire house. 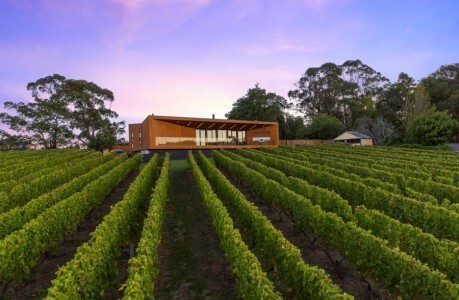 The timber deck extends the living space outside where the grape vines cover the landscape. The bold colour of the timber will age gracefully and provide a tranquil setting for evening gatherings within the angled comfort of the architecture. The feature deck also serves an environmental purpose allowing warm sun to heat the house during the winter and reflecting the hot sun during the summer. This architectural forethought allows the house to be comfortable all year round and minimise additional heating and cooling requirements. 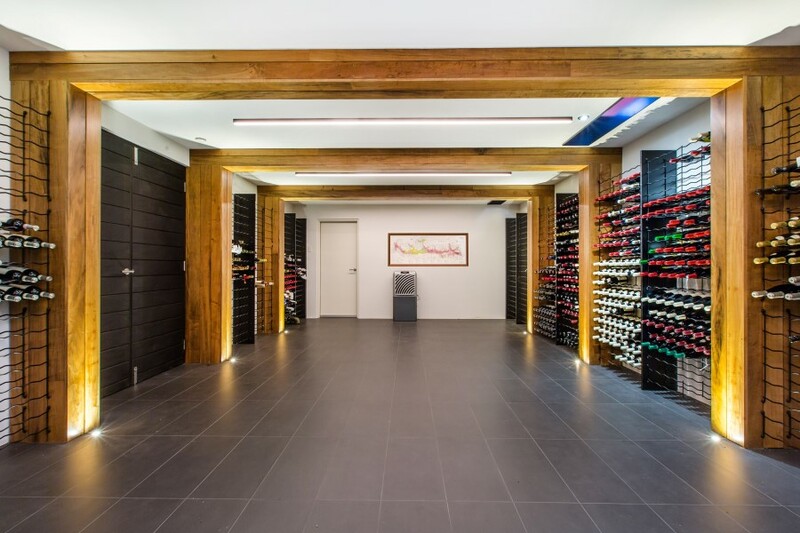 The house also has a cool cellar tucked under the living area and seen from the living space through toughened glass. This house will settle within the landscape and age over time, but through the use of natural materials and a modern design, but just like a good wine, this house will only get better with time.